The time for battle draws nigh. 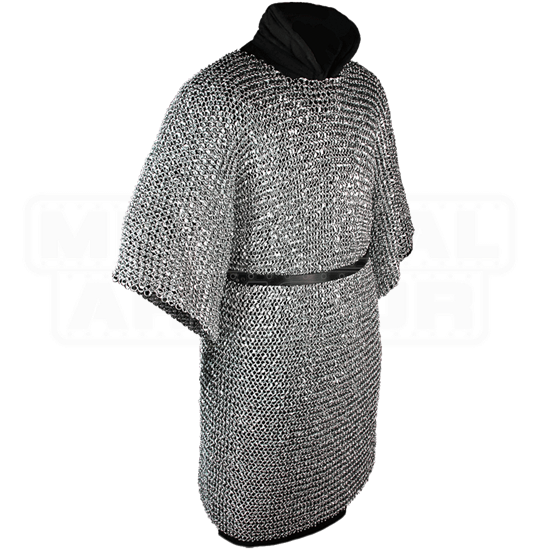 Clad in the John Riveted Steel Chainmail Hauberk, you feel ready to meet your destiny on the field. Each ring of this hauberk has been riveted, lending sturdiness to its short sleeve construction. 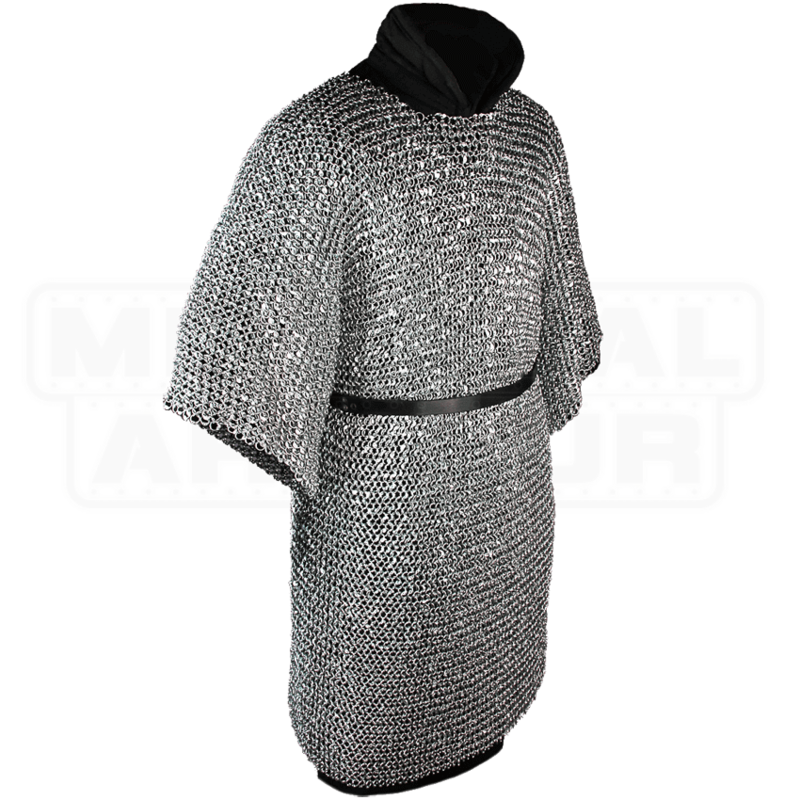 The steel rings are woven in a traditional 4-in-1 pattern, making this chainmail tunic great for medieval and fantasy themed LARP and costume use. Its sleeves cover about two-thirds of the arms, and the length falls to mid-thigh on most wearers. Wear it over a padded gambeson, as shown, for best comfort and safety, and accentuate the waist with a belt to help distribute its weight. Galvanized with zinc for protection against rust, this steel hauberk makes a fantastic addition to heavy armoured looks, whether you are dressing up as a medieval knight or a fantastical warrior of your own creation.